Discussion in 'Super Paintball' started by Flout, Feb 13, 2019.
didn't know where to report this, so i'm putting it here. these maps either circle around one kit, or are just terrible to play on overall. luckily there's only three so i don't have to explain too much. literally the ugliest map i've ever seen, see for yourself. has multiple issues as well. there is multiple places around the map where stone is showing from when the creator made the map out of stone and forgot to worldedit it. i really don't think the builders even reviewed this map, they just put it in because of the creator being a builder him/herself. the parkour is too choppy and the walls are so unpleasing. the trees are pretty poorly made as well, and you can even climb ontop of them if you climb in the right spot. i wont give more attention to that issue as only few know about it, but it's there. there's barriers at middle that obstruct a small amount of gameplay area. it's pretty annoying. parkour also lacks in crucial parts of the map, and seem to be unnecessarily placed around the map + makes the player lose sprint if they were climbing. too open and you can just get sniped if you're a shotgun/machine gun. sniper + rifle really have it easy here due to the amount of cover by the spawns & infront of them is just an open field with literally 0 cover besides two bushes that you can hit behind if you get a good shot. oh and did i mention the parkour here is choppy as well. makes you lose sprint when you climb on them. at least this one is somewhat aesthetically pleasing, unlike the previous map stated. community members agree with me. if you play the game leave your comments here. if you've played the game like once i would suggest go playing on these maps then play on a map like cookie town/painted gardens and then see what the true problem here is before commenting. thanks. Is it ok if could maybe show some images of them and what you don't specifically like? It would be easier to see your point as I don't quite recall what the maps look like based on their names. I don’t have an issue with you guys bringing up issues, however, it bothers me when you guys say that maps aren’t “tested” so to speak. That’s kinda offensive from my viewpoint as the Map Testing team does an incredible job finding errors in the map and where it can be improved. Being the Map Issues Lead, I’ll take a look at these issues and see what can be done about them. If you have any further concerns about some maps, feel free to PM me. These maps will not be getting removed. pzazz, MCCharity and Dutty like this. ^ then i dont know what you were thinking when you let these slip by lol. @Parrotlet just find a mps or a friend with a mps and set the map to them. too open and you can just get sniped if you're a shotgun/machine gun. sniper + rifle really have it easy here due to the amount of cover by the spawns & infront of them is just an open field with literally 0 cover besides two bushes that you can hit behind if you get a good shot. oh and did i mention the parkour here is choppy as well. makes you lose sprint when you climb on them. at least this one is somewhat aesthetically pleasing, unlike the previous map stated." That's why different maps have different kit strategies ;) I will agree with you on the castle grounds. It honestly looks like an unfished map if you put all the structure in and didn't add any detail yet, also this map's gameplay is awful and there were air spaces under the stairs that you could easily get stuck in. Yeah, it wasn't well made either. I know Pyxll already replied to this thread, but all I'll say is you can report issues at mineplex.com/bugs and just submit it as a "Map Exploit". Constructive criticism applies, of course. I'd rather you didn't straight up trash talk the maps and the builders creating the maps, too. As well, I don't appreciate that you claim maps aren't tested. To be fair, these were a while ago, prior to the Map Testing Team. Now, I think we function incredibly as a team and test gameplay thoroughly, releasing great content for the server. 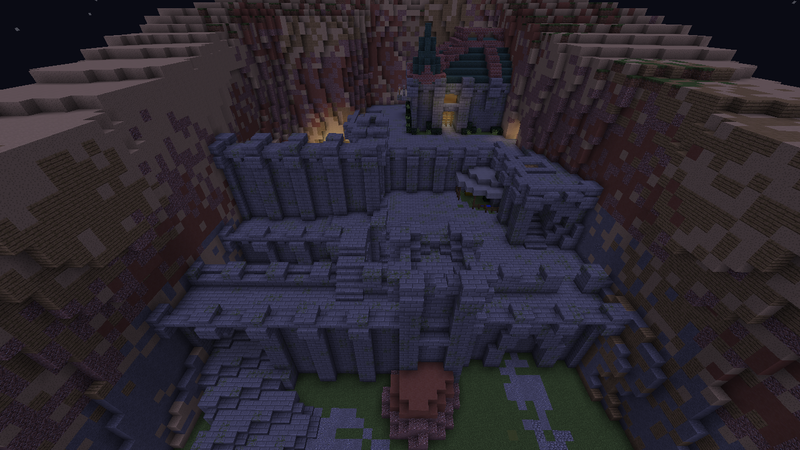 I cannot stress how wrong you are regarding bias towards Builders maps. 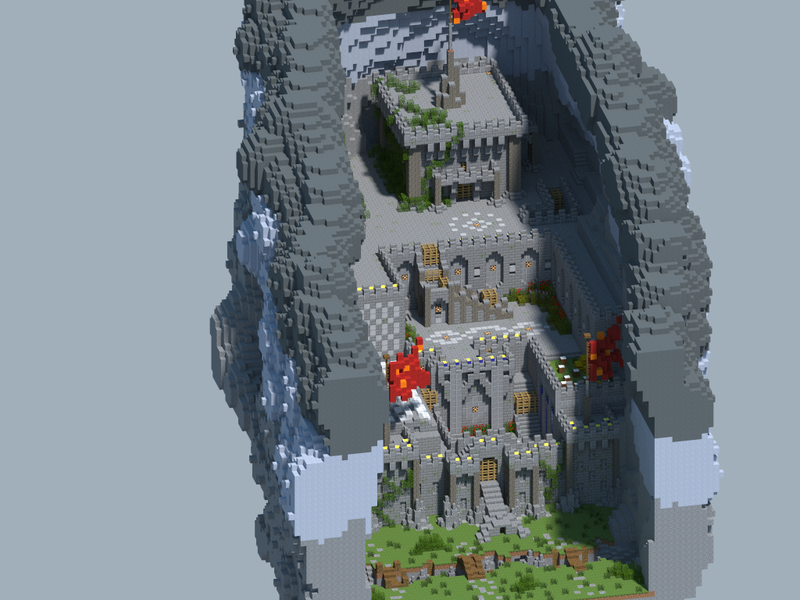 We treat every map as a separate submission, meaning both Builders and Map Subs maps are equal. The only reason Builders maps may make it through quicker than Map Submissions is due to Builders having a ton of experience with gameplay, or at least building with gameplay in mind. Yes, you have a lot of the games knowledge but it's hard to put that into an actual build, no matter how well you know the game. Secondly, the biggest issue with your map was the terrain, in my personal opinion (aesthetically anyway). Additionally, the entire map was pretty grey in terms of colours, which the example you've posted above is not. Not only that, but the builders of that map managed to incorporate detail into the build without needing to change the palette. It was kept nice and simple for the most part, the design was fluent and consistent. In terms of gameplay, your map just wasn't up there. CS GI felt as though the areas in your lanes and structures were too small; too thin and ultimately unbalanced and hard to defend. Since you had the terrain so closed off, it was very difficult for you to make changes to the map that we asked for. In all honestly, your map would likely need to be started from scratch in order to build a much more open and playable experience. Lastly, this post was irrelevant to the OP and feels as if you just wrote it to complain. Your map had a lot of issues; it wasn't purely based on the map being too bland. Ocelotguyy, PyxllCreates and MCCharity like this. I made all the changes you asked for after that last map deny you posted, yet I never submitted the final version. You know why? Because mineplex removed CS, along with many other games, right before it got added. My biggest issue with mineplex was that it kept stringing map makers along. They hosted a map contest right before all the games got removed. They gave a ONE DAY notice before removing all those games. Many of my friends in the CS community made maps, only for them to be seen only in MPS. Staff knew they were making those maps, including mine, but failed to even give them the slightest hint that they might not want to because the games were getting removed. I remember msging you, asking why they didn't give us a notice, only for you to never respond. That's where I think mineplex always fails, it never is transparent on what it is doing. In regard to the things you said about the map that got added. You said my map was hard to defend, what about the map you're literally talking about were defenders get pushed back the the king room in about 2 minutes? Everyone thought that map was very ugly, I'd asked them when CS was still a game that wasn't just in MP. Also, I don't really think the brownish terrain makes up for the entire castle, with the exception of the throne room, being made 100% out of stone bricks, mossy stone bricks, cracked stone bricks, and stone brick slabs and stairs. - Threads which are not titled appropriately (click-bait). - The thread contains hate on Mineplex written in a way that is not constructive or in a positive manner. Seeing as the OP is banned from our forums at this time; and the thread in general is in violation of two of of our thread locking guidelines, I’ll be closing this. Two of our fantastic Builders have taken the time to address your concerns in a helpful way, despite the OPs clear disrespectful atttitude towards them. Either way, I don’t see any need in the continuation of this thread and it’s contents.